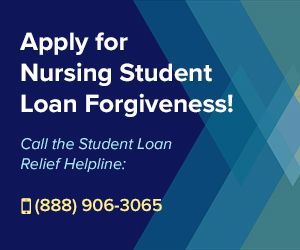 Find Out How to Get up to 85% of Your Student Loan Debt Forgiven with the NURSE Corps LRP! The NURSE Corps Loan Repayment Program has unfortunately been paused for 2019, even though was one of the most effective Nursing Student Loan Forgiveness Programs on offer. This program was quite literally one of the fastest possible ways to get rid of your outstanding student loans, so even though it’s not on offer this year, you should track this page closely because if it does come back, you’ll certainly want to take advantage of it. The NURSE Corps loan repayment program would probably be the fastest way to get your student loans paid off completely, since it allows for 60% of the loans to be paid for a 2-year service agreement, and up to 85% of your debt to be paid after just 3 years of qualifying service. This program has never had any debt limits, or crazy qualification requirements, and offered an amazing opportunity to any Nurse looking to get rid of their debt, so we can only hope that it gets re-prioritized and refunded in the near future. As far as I’m aware, this was by far the best Student Loan Relief Program in existence, with no other program offering even remotely close to the same level of financial assistance. For comparison’s sake, even my old favorite forgiveness programs, the Public Service Loan Forgiveness Program, the Non-Profit Loan Forgiveness Program, and the Government Worker Loan Forgiveness Program all required 10 years of service to get your debt forgiven (10 years for 100%, compared to NURSE Corps’s 3 years for 85%). What is the NURSE Corps Loan Repayment Program? The NURSE Corps Loan Repayment Program (also called the NURSE Corps LRP) is an updated version of the old Nursing Education Loan Repayment Program (NELRP), and was designed to encourage more people to become Registered Nurses (RNs). This program was created because there is a severe shortage of professional Registered Nurses across the country, and because demand for RNs is almost guaranteed to continue increasing as the baby-boomers reach older age. Nursing loan forgiveness benefits offer and exceptional opportunity to earn a degree for a demanding position with great pay without burying yourself in debt, making this an excellent deal for anyone looking to find a new career. The official stated purpose of the program is to “assist in the recruitment and retention of professional registered nurses (RNs), including advanced practice RNs (i.e., nurse practitioners, certified registered nurse anesthetists, certified nurse-midwives, clinical nurse specialists), dedicated to working in health care facilities with a critical shortage of nurses… or working as nurse faculty at an eligible school of nursing”. Basically, the program is there to encourage more people to become RNs, and to encourage more people to go into Nursing education positions. 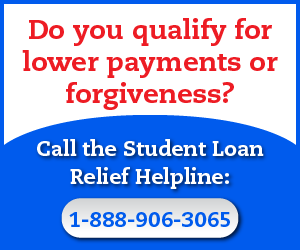 The good news is that, unlike many other forms of Federal Student Loan Relief Programs, this program is quite simple. 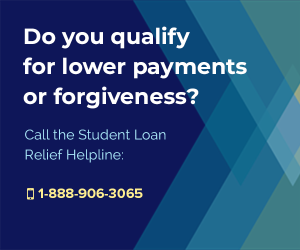 To qualify for the excellent loan forgiveness benefits, all you have to do is agree to a service contract of 2 or 3 years at a qualifying hospital (one on the list of so-called “Critical Shortage Facilities”, or CSFs), or at an eligible school of nursing. The only real downside to the way that this program works is that you can’t switch from serving as a Nurse in a facility to being a Nurse faculty at a nursing school mid-way through your service contract. Whether you pick to go for loan forgiveness as a practicing nurse, or as a nursing educator, you’ll need to stick with that choice throughout the duration of your service contract in order to qualify for loan forgiveness. How Much Loan Forgiveness Can You Get? That means you can get 85% of your nursing education loans paid off simply by serving in the field that you wanted to work in anyway for just three years! One thing to note is that if you want to qualify for forgiveness benefits by serving as a nursing faculty member, you will need to retain a license to practice as an RN, even if the School of Nursing you work at does not require it. This may seem like a long list of items, but these are really easy conditions to satisfy, and conditions that most working RNs will have no trouble meeting. 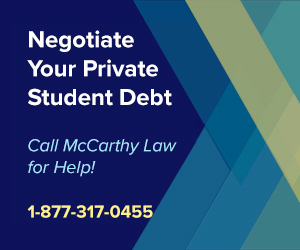 Unlike a lot of the other Federal Student Loan Forgiveness Programs currently on offer, this one does not require you to jump through many hoops. What Issues Could Make You Ineligible for Forgiveness? There is a long list of issues that could make you ineligible for the NURSE Corps forgiveness program, including a bunch of different things from making sure you’ve got a good credit history to making sure that you aren’t trying to double-dip with other benefits programs. If you meet any of the above conditions, then you will not be able to receive loan forgiveness benefits from the NURSE Corps loan repayment program. 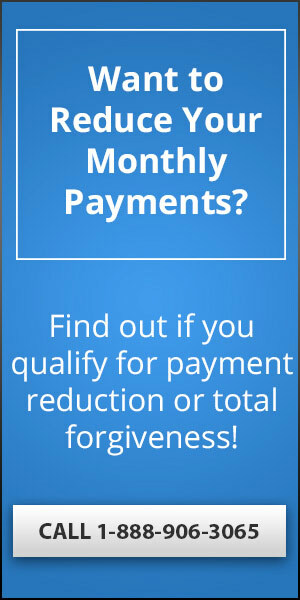 Which Loans Qualify for Forgiveness? In a nut-shell, the only loans that qualify for NURSE Corps forgiveness are those that were used for nursing training costs (like undergraduate or graduate nursing courses). Examples of qualifying loans would include, Nursing Student Loans that cannot be cancelled, Stafford Loans, Supplement Loans for Students, etc. This is just another reason in a long list of issues to consider when wondering whether or not you should apply for a Federal Student Loan Consolidation. Which Facilities Qualify for Benefits? To qualify for the NURSE Corps loan repayment program, you must work at what’s called a “Critical Shortage Facility” (CSF), which means a health care facility that’s located in, designated as, or serving a Health Professional Shortage Area (HPSA). Again, the important thing that determines whether or not your facility is eligible for these benefits is to make sure that it’s located in, designated as, or serving a primary medical care of mental health HPSA. To search an online database for eligible HPSA facilities in your area, please navigate to the HRSA’s HPSA Finder, here. Which Facilities are Ineligible for Benefits? Unfortunately, there’s no list of all approved CSF facilities anywhere on the Internet, or, as far as I know, anywhere at all. However, it’s easy to find out if your facility will qualify by simply contacting your business office or human resources department and asking them. Can I Use The Money For Other Costs? The money you receive from this program must be used to repay qualifying educational loans, and the your payments to lenders are subject to periodic verification by the NURSE Corps LRP. That means you can’t use these funds for personal purchases, vacations, or any other costs other than what they are supposed to be applied to – your nursing educational costs. One downside to the NURSE Corp’s nursing loan forgiveness program is that the payments you receive are subject to Federal taxes, so your payments will have Federal income tax and Federal Insurance Contributions Act (Social Security and Medicare taxes) withheld from them, and that money will be paid directly to the IRS on your behalf. Loan payments may also be subject to State and local income taxes as well, so the amount of money you actually get to apply toward your outstanding student loan debt will be significantly less than the full 85%, but it’s still a huge number (depending on your tax bracket, etc.). To verify that everything is being done correctly according to IRS regulations, the NURSE Corps LRP will mail you a W-2 each year. First, choose which service contract option you want to apply for (the actual working Nurse one, or the Faculty one), then follow the instructions specific to that service contract. Make sure that you read the official Application and Program Guidance document to ensure that you really will qualify for the benefit, and that you won’t be wasting your time, or anyone else’s time in trying to earn it. 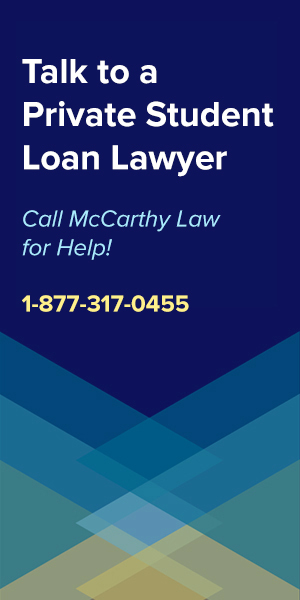 Please pay special attention to the eligibility rules and ineligible types of loans and facilities when reviewing this material, as those are the things that typically cause problems for people attempting to apply. When is the 2019 Applications Deadline? Finally, make sure to complete the Employment Verification (EV) form before submitting your application, because it’s a required part of the process and will prevent you from being eligible if you don’t get it finished first. Once you’ve got all this put together, go to the online Program Portal and complete your electronic application by the required deadline. The deadline changes each year, so you’ll need to keep checking back here, or on their official site, to find out when applications actually open. For 2019, the program is NOT accepting any applications, as it did not receive funding and is therefore put on an indefinite pause. Make sure that you include all of the required supporting documentation described in the Application and Program Guidance document, and that all of it is properly uploaded to the Program Portal, or your application will be rejected. Customer Service representatives will be able to walk you through the process, and they should be able to get everything sorted out for you quickly and easily. What Other Student Loan Relief Programs Can Help Healthcare Personnel? There are all sorts of student loan assistance programs for people working in the healthcare positions, so don’t think that the NURSE Corp LRP Program is all you can do! In fact, you’d be well-advised to apply to all of the following programs that you think you may eligible for, as each of these offers tens of thousands of dollars in student loan relief benefits. Like I said, you’ve got lots of options when it comes to getting help with your loans! Where Can I Get Help With Other Student Loan-Related Issues? You’re definitely in the right spot, because I built this website to help people who want to Get Rid of Their Student Loans Without Paying for Them, and I’ve developed over 100 Guides on different parts of the student loan repayment process. 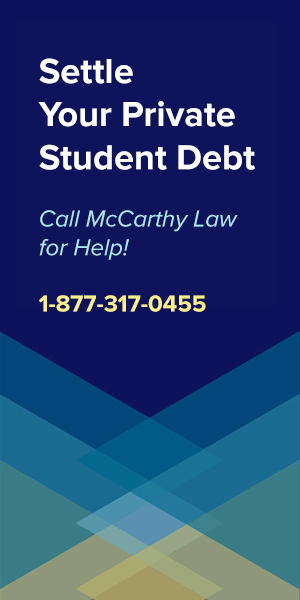 To make sure that you’re approaching your student loan debt as efficiently as possible, saving as much money as possible, and getting out of debt as quickly as possible, please review the Guides I’ve developed on all aspects of the Federal and Private repayment process. If you need immediate assistance, or if you can’t find the answer to your questions within these Guides, then please feel free to post any questions you might have in the Comments section at the bottom of this page. I review Comments on a daily basis, and I will do my best to get you a reply within 24 hours! NOTE: Please do not attempt to contact me via email or Facebook, as I will ONLY respond to Comments posted here on FSLD. Finally, Please Help Me Out! Thank you for visiting my site, and if the information on this page helped you, then please consider sending it to a friend, linking to it from your own Blog, or sharing a link on Facebook. 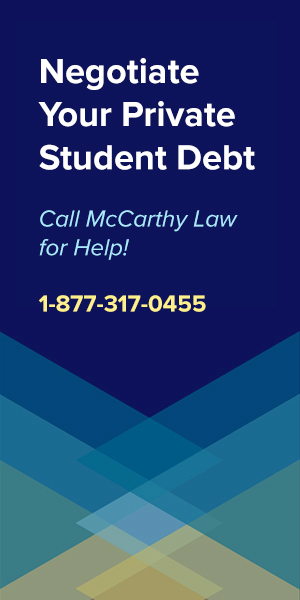 I rely on people like you to help get the word out that this place exists, and to help cover the costs of putting together all these materials about helping people get out of student loan debt. I came across your website while trying to help a friend apply for loan forgiveness. ESRD dialysis centers are now included as a CSF. I just wanted to clarify for those that may consider working for one to take advantage of this program. Regardless, you provide lots of good info on this site to assist others! Hey, thank you for letting us know! This is great info and it may help someone out so I really appreciate you sharing it with us! Hi Tim, do you know of any programs that are similar to this one for private loans? I’m starting nursing school through an accelerated program this fall, and since I’ve already done four years of undergrad I will most likely need to take out additional loans to cover my school costs. Thanks! You should definitely try to avoid Private Loans if it’s at all possible, because there are very few benefits available to them. One option may be some of the State-Based Forgiveness Programs. There are definitely some options there to help write off private loans taking out for Nursing education, but it’s rare. Check out my Nursing Loan Forgiveness page for a list of the programs offered by each state, and maybe you’ll get lucky! I have my BSN and am working on my MSN degree, but it is a joint MSN/MPH program. Do you know if this will qualify for loan repayment? Good question! I’m not entirely sure if that one will qualify for not, but you should be able to ask the Financial Aid department at your school and they will definitely be able to tell you. Good luck! Hi Tim. Ran into this site on accident while looking up NURSE CORP, but glad I found it for further info. I have an MBA education that didn’t do much for me while I was in marketing and sales in industrial products. I built up a student loan debt for that degree, changed gears and got a municipal scholarship to take nursing prerequisite courses, then got into a direct-entry Masters of Nursing degree which I am 7 weeks away from completing. So now I have over $200k in student loan debt, am currently on unemployment while I finish my MS of Nursing. What the heck can I do about all that debt? I’m turning 50 in July. While I am proud of myself for reinventing myself to nursing, but what am I going to do with all that debt? Now I am likely going to interview in March for a DNP program in Chicago. I was hoping to get the NURSE CORP for that and work per diem or part-time when I get my nursing license in March. Is there anyway I can get any of the previous student loan debt forgiven while at the same time attend DNP courses on Nurse Corp Scholarship? If your loans are FEDERAL then your best option is going to be finding a way to work for a Non-Profit or in the field of Public Service… many Nursing positions will allow you to satisfy those requirements, which would let you qualify for the Public Service Loan Forgiveness Program (PSLF). PSLF is your best bet at getting rid of this debt because it lets you eliminate EVERYTHING you still owe after you’ve made 10 years worth of payments. 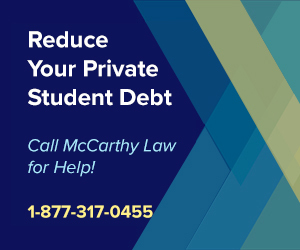 For details on how PSLF works, visit my page about the Public Service Loan Forgiveness Program. Thanks for this info. I think it is worth noting that only 30% of the loan repayment budget is allocated for RNs, while the rest (majority) goes to NPs and nursing faculty (per their website). Thanks for pointing this out! Definitely worthy of noting. I applied for Nurse Corp repayment program last year, I am an APRN who works in federally qualified shortage facility in CT. My income is less than the amount of federal loan I owe. I did not get it , because there was no enough funds to cover all applicants. Do you have any advise how to increase my chances this year?I will apply again of course. Yes, apply EARLY! These funds run out quickly, and the benefit is offered on a first-come, first-served basis, so you want to get your application in as soon as they open the application period. Make sure you sign up for the email alerts from them that notify when application season begins. I’ll update my site as soon as I see the alert too, but if you get on their email list, you’ll find out right away! I am an RN, am qualify to apply for this loan because RN was not mentioned on the list. Yeah, RN positions are excellent and qualify for basically all Nursing loan forgiveness programs. You should be totally fine. I am enrolled in the Public Service Loan Forgiveness program currently. If I qualify for the nurse CORPS will I still be enrolled and qualify for the PSLF? Yes, you never really “enroll” in PSLF, btw. You’re just on a payment plan that qualifies for PSLF. Is the application window closed for 2017? I don’t think it’s even opened yet. Would this application apply for current nursing students? I graduate Sept 2017 but want to know if I can apply now? It should say within the text of the application itself. Any news on the deadline for 2017? When does the 2017 application window open? The 2016 application cycle is now closed. The next Scholarship Program application is scheduled to open in Spring 2017. Sign up to get an e-mail when it does. I’m signed up to receive their email alerts, and will update this page with details as soon as they announce the new application window. I had my MHA/ Gerontology degree 4yrs ago, will I qualify for loan forgiveness? I am working right now as a neuro icu rn. It sounds like you’re right in that window which will qualify you for the benefit. 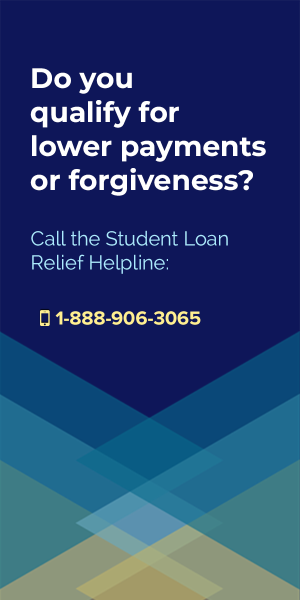 If you haven’t seen it already, I just updated my main Nursing Student Loan Forgiveness Program page to include details about forgiveness options for each state too, so be sure to visit that page, look for your state, and see if you’re eligible for any state-based assistance as well. Nursing school didn’t workout for me the first time around. I was dismissed from the program my third year for not passing a class so I finished college with a bachelor of science in psych instead. All of my classes my first 3 years were towards a nursing program. I ended up trying nursing school again through an accelerated program and I’m officially a working RN for a qualifying hospital. My question is, I was going to consolidate my student loans, but now I’m worried how to go about this so they qualify. Also, my biggest chunk of student loans are through Parent Plus Loans (I know big mistake) but I was going to refinance these under my name through SoFi lender. If I refinance this and consolidate them u see my name would they qualify? My loans are overbearing and I really need som guidance and help. Anything would be INCREDIBLY APPRECIATED! If you consolidate your loans through SoFi (a private lender), then they won’t be eligible for ANY Federal forgiveness benefits. I would NOT consolidate with a private lender, but leave your Federal loans as they are. You should really speak to a financial advisor about how to handle your debt, because they’re going to need to look at a lot of different details to determine your best course of action. It’s worth paying a small consulting fee to sort this stuff out, and if you do it now, it could save you lots of money down the line. The Private loans will be the problem. The Parent Plus Loans… could be a problem too… because they’re not eligible for Forgiveness benefits. That was really unfortunate to use those, but there’s still a chance that they’ll BECOME eligible for forgiveness at some point in the future, whereas if you consolidate them to SoFi, you know for sure they never will be. Tough choices to make, and I don’t have enough information to advise you 100%. Contact a financial adviser and you should be able to sort out the best approach. Is this program retroactive? My wife worked 4 years full time and met all the qualifications. She is now PRN and would not meet the full time requirement. Can she apply using her previous work experience? You should have your wife contact whoever services her loans to find out if they’d accept retroactive service. If someone already had a bachelor’s before their nursing degree, and later obtained their nursing degree, do you know if the NCLRP can go towards all of their student debt or just the debt they acquired while taking nursing classes? Any input on this is greatly appreciated! Good question! I would check out the section of my post called “Non-Qualifying Loans” to see if any of those apply to your situation. Next, contact whoever services your loan (the people you send your monthly payments to) and ask them to clarify things. They are legally obligated to tell you the truth. According to the government website, simply being an RN does not make you eligible. Only Nurse Practitioner’s, Certified Nursing Midwives, and Physicians Assistants are eligible. This could be a new change but it’s good to know. Are only RNs covered, or would a nurse practitioner also qualify? Nurse Practitioners do qualify for the benefits, yes. Hello Tim. I was just wondering when the program will be starting for 2016? Also, I just finished my schooling for Nurse Practitioner and will be starting a new job in February of 2016. Is the program available for nurse practitioners as long as you are working for an eligible rural hospital? You can find the 2016 Application here. Read through it for details on qualifications. Consider speaking to the HR people at your workplace to ask them whether or not you qualify (before filling out all the forms and going through all the trouble to apply for benefits…). First thank you for creating this site. Every thing here is gear towards RNs. I am an LPN, I have acquire my debt in my attempts to become a RN. Are there any place that offers debt forgiveness/relieve for LPNs. Alright, loans that were used to school that lead to my ADN qualify, but loans that were used for LPN school don’t qualify? What if I had to complete an LPN program to enter an ADN program? Thanks for gathering this info! Contact whoever services your loans and ask them what qualifies. They’re the ones who can comment on this with authority. 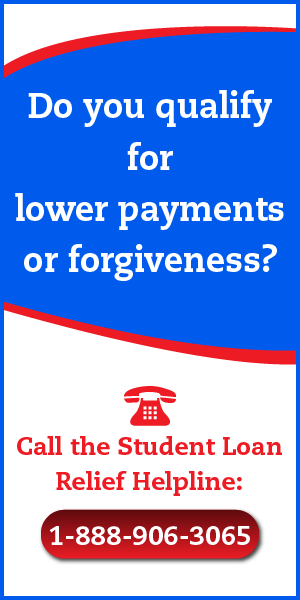 Or, if you don’t trust them, try contacting the Student Loan Relief Helpline. This is a commercial service who offers consolidation products, but they’ll also explain to you what you are actually eligible for. You can reach them at 1-888-694-8235. 1. I am currently a RN working full time in a critical access hospital, I have been here 2.5 years with the time I have been here count toward time needed for reimbursement? 2. I recently started a BSN program in September 2015 that will be completed around November 2016. If accepted in 2016 will my new student loans for the BSN degree be covered as well? 2. I don’t think you can count time of service that occurred BEFORE you accumulated more debt. Basically, the idea is that you have to finish your debt accumulation (finish school), then start working toward forgiveness. As far as I know, this is always the requirement of any sort of Federal Student Loan Forgiveness Program. I have been a RN for about 6 years now, the whole time I have worked for the same hospital which is rural. I work full time hours or just short of it some weeks but since I don’t need the Insurance and want specific days off I am PRN status. For all these programs it seems that you have to be full time, so I have never applied. can you be PRN and still get help? To my knowledge, you must be full-time to satisfy the requirements of the Nursing student loan assistance programs. I’m not aware of any that apply to part-time nurses. You may want to contact whoever services your loan, however, and ask them if they’re aware of any benefits for part-time Nurses. Legally, they’re obligated to tell you the truth about available benefits. I work for a inpatient Rehabilitation Hospital in a rural setting, does this qualify? If your hospital isn’t on the approved list of Critical Shortage Facilities then no, you won’t qualify. To find out if your facility is on the list, check out the list of Health Professional Shortage Areas (HPSAs) here. ALTHOUGH, keep in mind that even if your facility does not appear on the list, it’s possible that you may be able to appeal by contacting the Department of Education, and requesting that they reevaluate your facility and consider including it on the list of approved locations. I have heard of multiple people having success getting their locations added to the list. 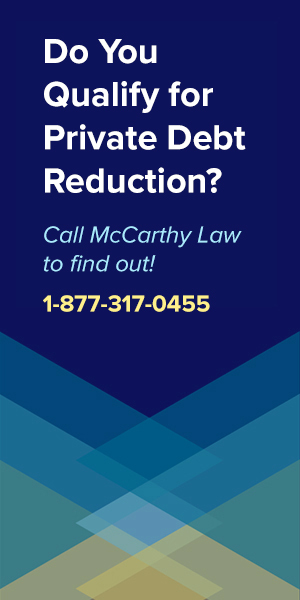 How would you be notified if you qualify for loan repayment program? Contact whoever services your loan and ask them if you qualify. It always ends up being their call (though you do have opportunities to appeal if they say no). I just graduated in May 2015 and started working my first nursing job in Ely, NV. (population 4500). I am under a 2 year contract with the facility and have not started to make any payments on my loans. Would I still be able to apply for help even though I haven’t made the “120” payments? Yes, absolutely! This program doesn’t require you to complete 120 payments to receive forgiveness benefits. You should definitely submit an application as soon as possible, and make sure that whoever services your loan agrees that you qualify the requirements of the program. I work fulltime as a registered nurse at a Veterans Administration Hospital in Loma Linda, California. Do VA hospital qualify as public hospitals under this program? I believe they do and I think you’ll definitely be able to qualify for the program. If you have questions, contact your HR department – they should be able to help. I’ll be starting classes in mental health counseling fall this year. I’m really banking on this program to fund my education. Is there a guarantee that the scholarship funding will be available for new applicants next year? Has anyone experienced getting denied for scholarship or loan repayment with NHSC? I don’t know that anyone could answer your first question – there’s probably no guarantee that it’ll be fully-funded and available for new applicants, but it SHOULD be. Can’t help with the second part either, but hopefully the community can chime in on that note. Good luck! The application period has ended for this year, but you can always apply again next year. There are some other programs available for Nurses, check out all the options you may be entitled to here.